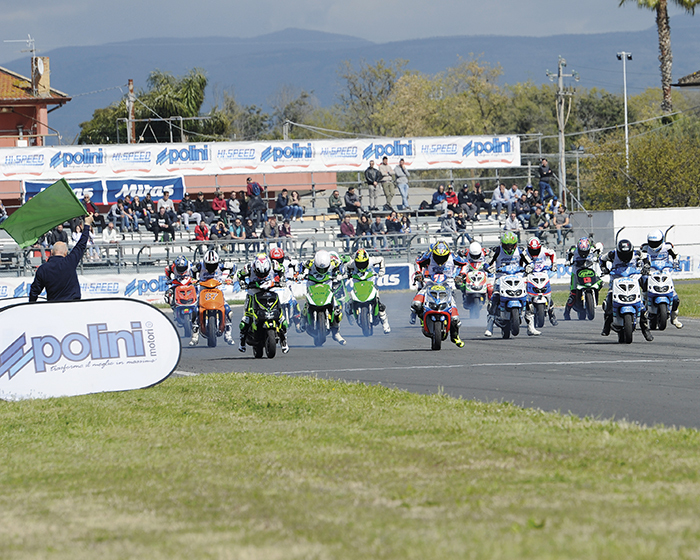 Tradition and innovation together in Polini Italian Cup, whose season 2019 (the 15th edition since, in 2005, the competent organisation of Moto Club Bergamo gave birth to this championship) began by its first meeting on Sunday, the 7th of April, on the circuit of Latina. 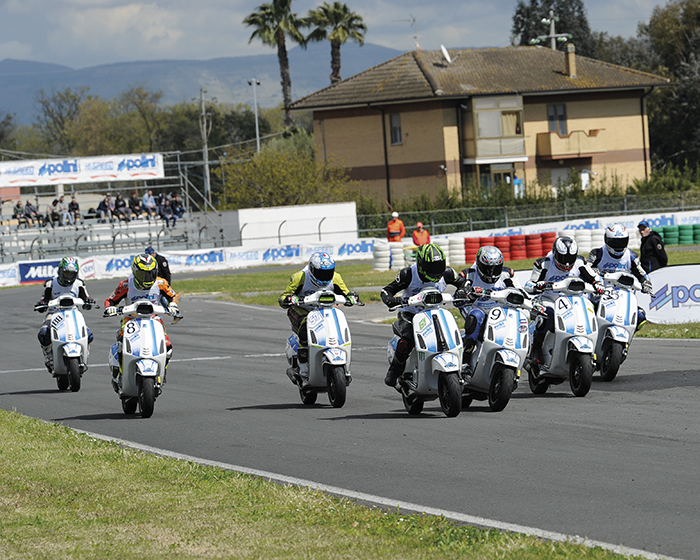 The races list including six competitions, the next of which will be in Viterbo and the remaining ones north and north-east of the peninsula, the National Scooter of the most prestigious, qualified and representative track races in this sector. 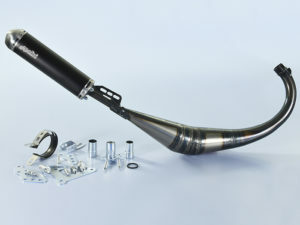 In this championship, the renewed Scooter 70 Evo Supersport including Scooter 70 Evo Open, the confirmation of Scooter 100 Big Evo Open, Scooter 70 Evo Fans and Vespa Primavera 185 4T have competed. A numerous fleet of foreign riders competed in Latina and took part in all the National Scooter Championship, so that it certainly became the most popular championship in this sector in all Europe. At the opening, there were many riders, and the fans could watch the races at home, thanks to the live streaming on the channel Polini YouTube, as for the remaining five races of championship. The Academy Derapage Vent 80cc. 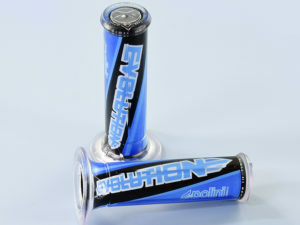 was officially presented: it will get underway on the next race in Viterbo, on the 14th of May. In Race-1 Alessandro Blando has a good sprint and follows the Spanish Oliva and Fabio Starnone, fourth is the Dutch Sarik Roufs, chased by Niccolò Castellini. The pace is right away very hard, Starnone on third position takes advantage from Oliva’s indecision to get the second place. The Spanish tries with a reply, but slips. Castellini gets into the leading group with Roufs, who overtakes Blando. On the fourth lap, Starnone and Castellini bump into each other and open the way for Corsi, who manages to go back in third position till the finish line, behind Blando and the winner Sarik Roufs. In Race 2, lightning quick start of Starnone who exceeds and slips. Oliva leads the group, followed by Corsi, Gonzales and Roufs. Tiraferri joins them too. On third lap, Corsi passes the Spanish, as the Dutch tries to escape. Behind them, a show of Tiraferri, fourth. Corsi leads the group, but Roufs passes him and runs away, chased by Corsi and Tiraferri on third position. On the last lap Tiraferri passes his team mate who later takes his position back, while Roufs goes to win. Blando is fourth, Castellini fifth. Day podium: Roufs, Corsi, Blando. In Race 1, Matteo Sauro is swift, chased by Giuseppe Iannini and Francesco Cianfarani, who after some turns goes to lead, flees and easily wins, before Iannini and Davide Marola. In Race 2, lightning quick start of Sauro before Michele Urbano and Marola. On the second lap, Marola attacks Urbano. Marola changes the pace and leaves Sauro behind, as Cianfarani recovers and gets third position, while Matteo Belardinelli follows his trail. On final, the victory goes to Marola, before Sauro and Cianfarani. Belardinelli is fourth, Michele Niccoletti fifth. Day podium: Marola, Cianfarani, Sauro. In Race 1 Mirko Leporati is the quickest, followed by Filippo Pistola and Russo Giuseppe. The three fight, Leporati tries to flee. Russo pushes, passes Pistola and takes second position, close to Leporati, that he overtakes shortly after. The fight for the fourth place is between Mammi and Fusto, who give birth to a beautiful duel. Russo gets first to finish line, followed by Leporati, Pistola and Fusto. In Race 2 Russo is the most rapid before Leporati and Fusto. In few laps, Russo and Leporati distance the rivals, Leporati tries to assail Russo as behind Fusto and Pistola have a battle. Lonely final of Russo before Leporati, Fusto and Pistola. Day podium: Russo, Leporati, Fusto. Stefano Raineri leads the group of Race 1, by preceding Franco Carlucci and Nicolò Cionna. Behind, Martin Mihael recovers, as an impressive contact between Raineri and Carlucci pushes Carlucci to withdraw. Gabriele Beghelli and Rocco Nucera are really quick, pass Mihael and run for the third position. On final sprint, Cionna gets the better of Raineri. Beghelli is third at the end of a resounding duel with Nucera. In Race 2, Davide Inversini goes to lead, chased by Emilio Maione and Raineri, who quickly gets the first position. Inversini, second, tries to distance the rivals, worried for the fight for the podium. 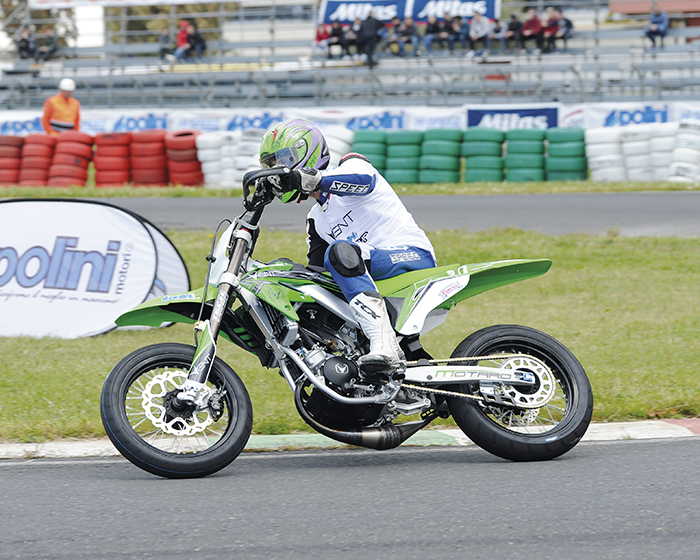 Beghelli goes to second position and distances Inversini. Behind, Cionna recovers. Raineri prevails over Cionna, Mihael, Beghelli, Inversini. Day podium: Raineri, Cionna, Beghelli. Shakedown on the circuit of Latina for the motards Derapage Vent 80cc six gears, driven by the three official riders of Polini Team. 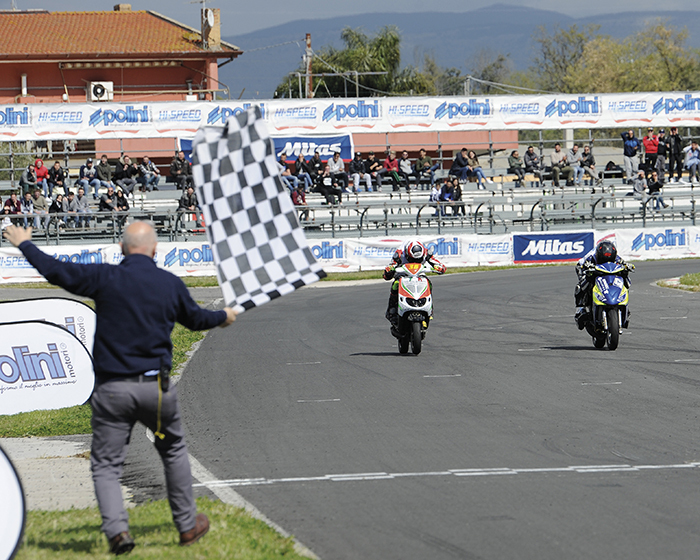 Next race of Polini Italian Cup of Viterbo on the will be on the 14th of May, when the awaited class motard Derapage Vent 80cc will have its debut, where both the youngest riders from 12 to 14 years old and the “over” 14 can compete in a spirit of authentic Academy, handled by the multi-champion Max Verderosa representing Vent. 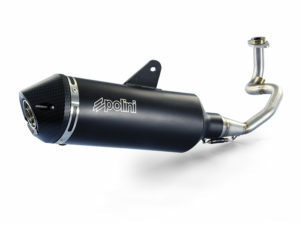 These are the allowed changes: Polini thermal unit increased to 80cc, Evolution exhaust plant, Carburettor CP 24, sewer, lamellar valve, inner engine ignition, Mitas tyres (mono-tyre for all classes).